Should I just copy the content from my current site to the new domain? No, most definitely not, Google in particular have a duplicate content policy which places sites that have plagiarised or simply copied content from another site and will place those domains at a disadvantage. 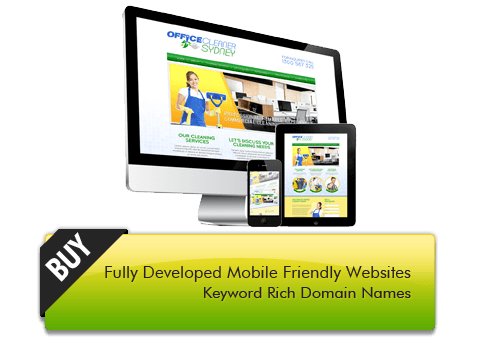 It is in your best interest to start from scratch and build out a quality site that is not only going to satisfy the Google robots/spiders, but more importantly satisfy your visitors with high quality content and a strong call to action. How do I take Ownership of a Domain Name? What can I do and not do when leasing a domain? We encourage you to treat the domain as if it is your own. Treat it like any asset in your marketing arsenal. Set up business emails, optimise the site for SEO purposes, advertise with AdWords and other marketing platforms. We want your leased site to be a lead machine for your business, We are here to add little tweaks to content, add images etc at any time. If a change is considered major surgery (eg, total redesign) there will be charges involved. Common sense needs to prevail here, clearly things like sending spam from the domain is not tolerated. How Long do I have to lease a site for? Our only request is to lease the site for a minimum of 3 months, paid in advance so that we can cover the costs of tailoring the site to your needs. Once 3 months is up, you will be invoiced once a month with no lock in contracts. What fee’s are involved when selling my site? Domains that qualify will incur a $100 listing fee, in addition once a domain is sold, 90% of the sale price will be transferred to you via direct deposit. 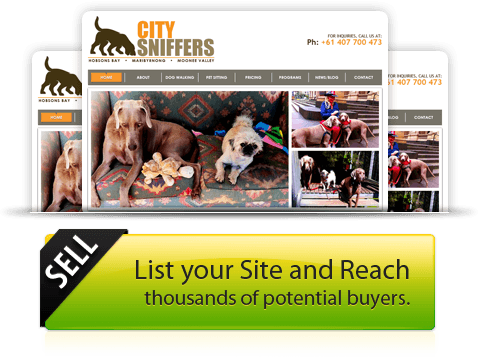 10% of the sale price is the sellers fee to cover marketing and commissions to assist sellyourwebsite.com.au partners.